First I will take detailed history and with some conditions it might be necessary with your permission notice your doctor that you are having hypnotherapy. Then we will discuss your goal and what you would like to see or feel at the end of your sessions. Using a range of different techniques I will relax you, make you feel comfortable and work with you towards achieving your goal. After a session you may feel uplifted, lighter and very relaxed. Often change is very subtle, as we were working with you subconscious mind, and you may just notice a very positive shift in how you are feeling. 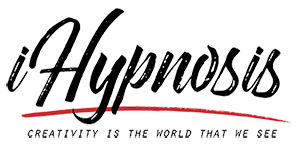 Hypnotherapy has the advantage of being able to communicate with the subconscious in a two-way fashion. Affirmations don’t facilitate direct responses from the subconscious; they only seek to speak to the subconscious. Other than that, the language of hypnosis and of affirmations is similar. Both are always expressed in the present tense, and always in the positive. If you ever meet a hypnotherapist that uses the words, “don’t smoke” as a direct suggestion, choose a different hypnotherapist!